Everyone should have the opportunity to express themselves through music – including YOU! That’s why we’ve come up with this very special offer – and it’s only available to students. Playing music should be as free as speech. At Express Guitar we have the playing and teaching experience and we have done the research to develop a unique learning system that makes this happen. 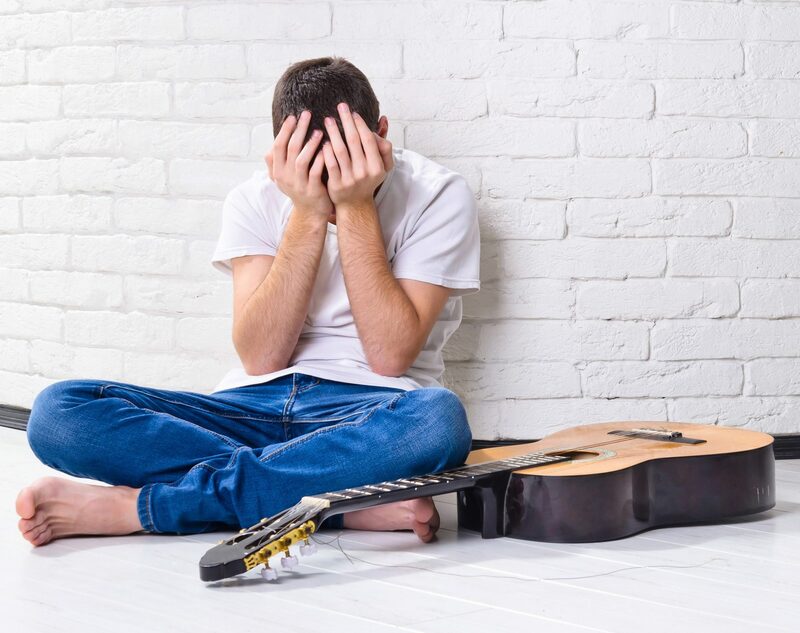 When you are seeking trustworthy, knowledgeable guitar tuition at a student accessible price – come to Express Guitar. Get guitar lessons with master guitar educator Simon Jackson at a student friendly price. A great way to study something outside of your course and learn something you’ll enjoy for the rest of your life. This offer is for four hours of guitar lessons at Express Guitar with master guitar educator Simon Jackson. to position yourself and the guitar to make everything more comfortable and easier. how to play chords musically by making sure you can play them rhythmically. how to get the dexterity you need to master the guitar. how to jam to any music you like. all the necessary theory, techniques, chords, scale shapes. If you are new to the guitar you will be able to play music in week one. If you have been playing for some time you will make dramatic improvements in your playing and understanding of music. There is a well established tradition of teaching the guitar. The problem is that this tradition doesn’t work all that well. There is a huge range of learning materials available to students from guitar magazines, YouTube videos, and online lessons. The vast majority of it is misleading, disorganised and of very low quality and is given by unqualified, self taught guitarists who don’t really know what they’re doing or how they do it. If you’ve tried them, you’ll know what we mean. We base our teaching methods on thorough research into how we learn, what we think when we’re performing and the very best ways to practise. These methods are based on research into psychology, neurology, language acquisition and of course the guitar and its music. This is a great opportunity to get the best tuition around without breaking the bank. Don't miss out on our future events and offers. Drop your name and email in here and we’ll keep you posted now and then. Don’t worry, we don’t have time to send loads of spam.